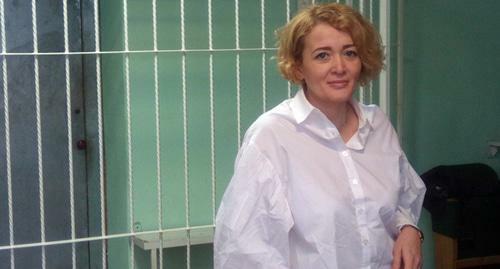 Irina Safronova, Chair of the Rostov branch of Yabloko, came to a court hearing on what measure of restraint was to be applied for Anastasia Shevchenko, an activist of the Open Russia organisation. Anastasia is accused of being an active member of an organisation which is classed as “undesirable” in Russia. Safronova thinks that searches in the flats of Open Russia’s activists followed by Shevchenko’s criminal prosecution is a crackdown on the opposition. “What exactly have these people committed? The rallies where they participated in had been authorised! These people could not be indifferent to all the problems we are facing – the raising of the retirement age, huge taxes, hoodwinked investors,” Yabloko’s activist noted. Safronova explained that Shevchenko was arrested after exercising her right to freedom of speech. Yabloko’s Federal Political Committee members Boris Vishnevsky, Sergei Mitrokhin and Lev Shlosberg and the Federal Bureu member Andrei Babushkin signed a petition in support of Anastasia Shevchenko. The petition is addressed to the presidential council on human rights. Anastasia Shevchenko is facing up to six years in prison. She is currently under house arrest until 20th March.